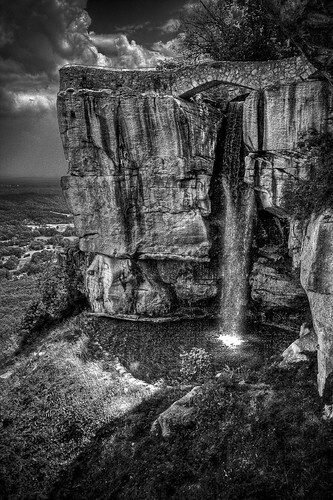 Rock City, Tn-B&W HDR, uploaded into Flickr by Web Cowboy. Click on pic to see it in Flickr. Wow, that black and white can up and grab you sometimes. A MUST SEE IN LARGE ON BLACK. A very cool shot, but I am not sure what the waterfall is actually falling "into" or "onto". It's raining light, Hallelujah!, originally uploaded by Paco CT. Click on pic to see its Flickr page. Sometimes you see a photo, and you are just glad that someone was there to capture it before it was gone...VERY POWERFUL IN LARGE ON BLACK. The search word tonight came from listening to the late great Jeff Buckley's version of "Hallelujah" (the now defiinitive version of this Leonard Cohen classic ). Embedded below if you care to listen. It'll have to hold you a couple of days too, because I am heading out of town...likely w/o access to the web for a bit. 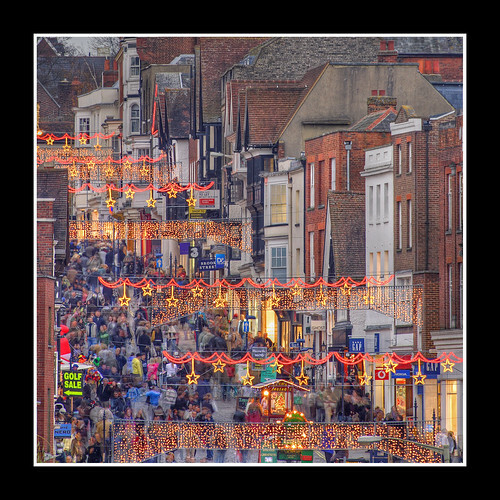 Guildford..24 Nov 2007, uploaded into Flickr by strussler. Missed a day, but back today with a quick post...one with an unusual perspective. GOTTA SEE IT IN LARGE ON BLACK. 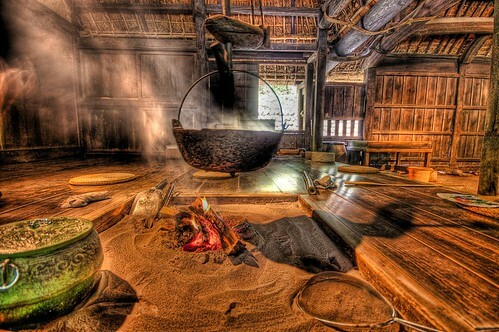 Usually there is extraordinary depth in HDR photos. For some reason, this one seems foreshortened...appearing to bring the background right up into the foreground. I think it's because the level of detail does not recede with distance in this one. I like it. Foggy winter morning, Broughton, Cambridgeshire, England. Uploaded into Flickr by mmayson. Very well done image here. I really love the light and the sky. HAVE A LOOK IN LARGE ON BLACK, and see the rather odd placement of the cemetary stones all over. 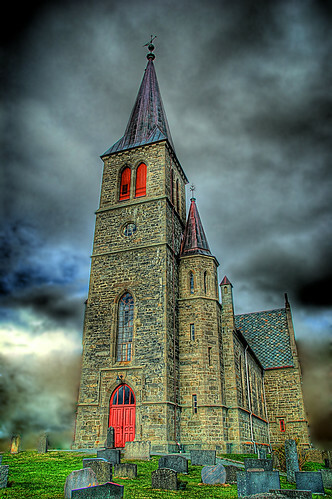 The combination of HDR treatment plus the fog gives the church the look of an illustration rather than a photo. Haystack Rock. Uploaded into Flickr by johopo (John). Click on pic to see it in Flickr. With all of the closed-in shots I've been selecting lately, I was really needing a majestic landscape. Got a nice one here, I think. But you really HAVE TO SEE IT IN LARGE TO GET THE HDR EFFECT. I have been to Portland (a nice place), but never got to Cannon Beach to see this, so this will have to do for now. 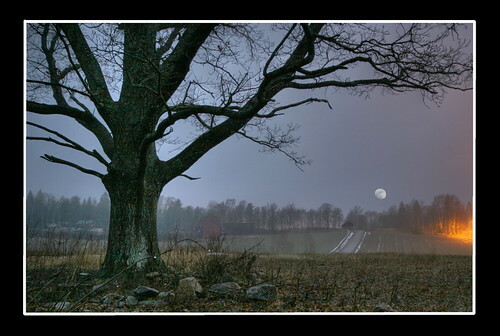 Day Or Night... Uploaded into Flickr by Orcinus O.. Click on pic to see it in Flickr. Walking In The Wind... Uploaded into Flickr by Orcinus O.. Click on pic to see it in Flickr. When it snows, accommodation in Hvar's hotels is free. I think that's a slap at London. Monday Feb 11: Scattered Clouds. High: 42° F. / 6° C. Wind NE 8 mph. / 14 km/h. Looks like lunch could be on the house tomorrow. Old Man Willow, uploaded into Flickr by Mark Grealish. Click on pic to see it in Flickr. This photo conjures things from dark corners. It may be one of those rare HDR shots that I prefer in a regular size, but it definitely needs a black background. Here it is IN REGULAR SIZE ON BLACK, and here it is IN LARGE ON BLACK. Another model of our local square, uploaded into flickr by stevacek. Click on pic to see it in Flickr. Here's a pretty cool treat that comes up from time to time in these searches. FIRST, HAVE A LOOK IN LARGE ON BLACK. This is not a model with play figures. 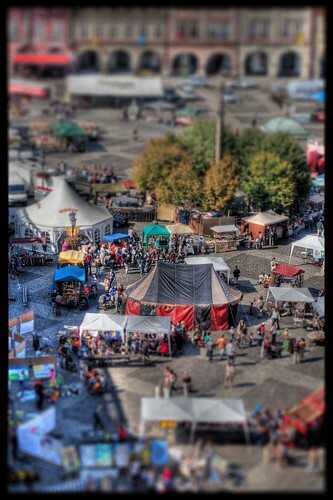 It's a real town square that is post-processed in both HDR and "Tilt-Shift" fake model processing. The Tilt-Shift processing artificially shortens the focal length, tricking the eye into thinking it's a short-focus toy model. Thanks, stevecek. Makes me remember this previous post, my favorite Tilt-Shift HDR Shot. 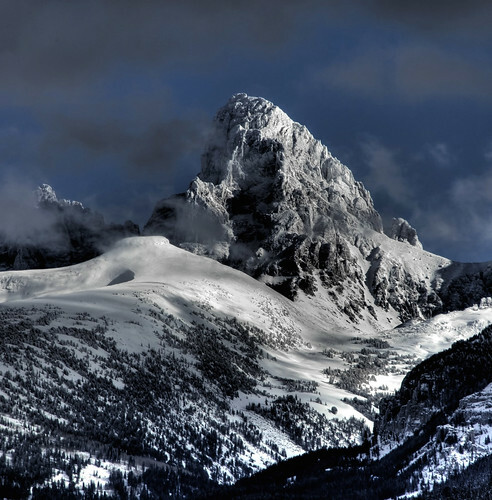 Grand Teton, uploaded into Flickr by James Neeley. Click on pic to see it in Flickr. There is a world of difference looking at the above shot and the LARGE ON BLACK VERSION. Definitely an entrancing gawker in large. And here's another related shot, also by James Neeley, that really shows HDR at work...just look at the incredible detail in the shadow area on the left side...I find it totally amazing that there is such detailed information stored in a dark (virtually unexposed) portion of a photo that only comes out when the HDR software teases it out. 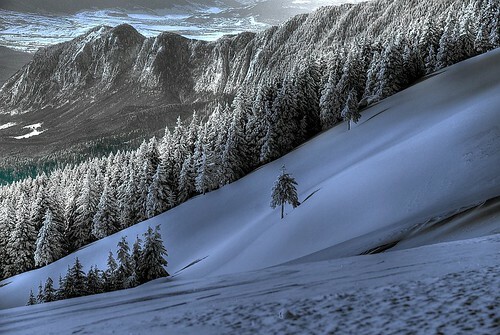 The search word today was inspired by a pretty cool photo blog I saw...French Landscapes. The Church... Uploaded into FLickr by gastronauten. Click on pic to see it in Flickr. Pretty cool shot here of a church in Norway. MUST SEE IN LARGE ON BLACK. Getting a sky backdrop like this can make a huge difference between a good and a great shot. I like this one a lot, but I actually have a slight preference its sister shot because of the surreal foreground. 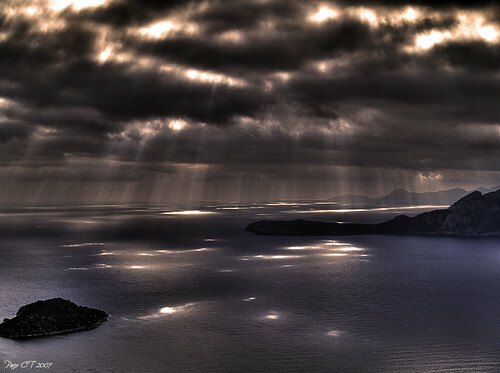 A ray of light, uploaded into Flickr by Giorgos ~. Click on pic to see it in Flickr. 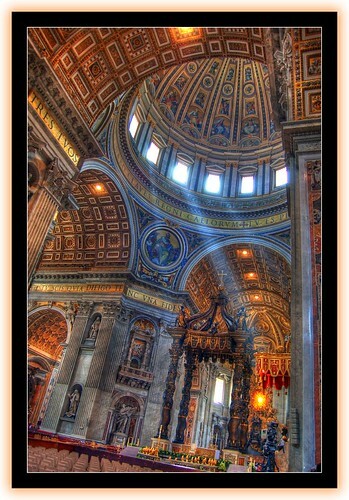 "Inside-the-church" shots are a frequent HDR subject. I am not always partial to them unless they are very well done. This one is obviously one. GOTTA SEE IT IN LARGE ON BLACK. Just terrific detail enhancement going on here. Tick mark for that trip to Rome...but still I think Iceland is first on that "go to" list. "I am not a bum...I'm a jerk"
cote d'azur bormes-les-mimosas, uploaded into Flickr by delmez92. Click on pic to see it in Flickr. Wow. One of those shots you just have to stare at....AMAZING IN LARGE ON BLACK! So many cool things about this photo, and the HDR processing hardens the detail to an amazing degree. 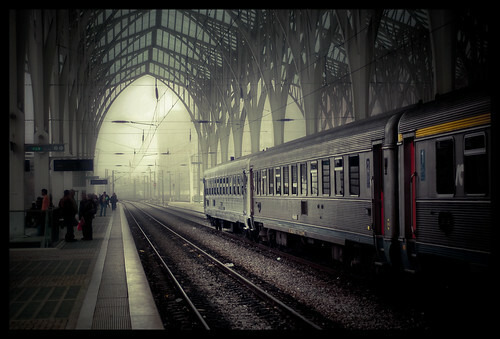 Mystical station, originally uploaded by Jsome1. Click on pic to see it in Flickr. Sorry, Pats. I was rooting for ya to finish 19-0, but it just didn't happen. Liked the results of the search though...just 37 pics came up, and this was clearly the best, especially the arching girders above the train. GOTTA SEE IT IN LARGE ON BLACK FOR FULL EFFECT. Of course, maybe 18-1 was better for me because there was just one pic that comes up with a "19-0" search. Falling up through reflections, uploaded into Flickr by WarzauWynn. Click on pic to see it in Flickr. The confusion it creates is a little reminiscent of this one from the archives. Green lake. Uploaded into Flickr by wili_hybrid. Click on pic to see it in Flickr. A mountain Lake near Uyuni, Bolivia. Pretty neat. A REAL SIGHT IN LARGE ON BLACK. Don't know much about Bolivia, except it's the place where Butch and Sundance went to start over. One of many memorable scenes in that movie has them getting off a train in Middle of Nowhere, Bolivia...well whad'ya know....a train, in the middle of nowhere in the same Flickr photoset. Looked into this a bit more and found out that this train is from a strange Bolivian train cemetary...and it's located on the largest salt flats in the world (100km x 120 km). Butch: Sheesh, all Bolivia can't look like this. Butch: You'll feel a lot better after you've robbed a couple of banks.